Through determination and teamwork with Neurosurgery and Imaging Sciences, the Department of Neurology’s vision of having a dedicated Neurovascular Laboratory has been realized. The laboratory performs carotid ultrasounds on patient's with suspected cerebrovascular disease. Since opening this past July, we have already performed over fifty studies. The neurovascular laboratory will play an integral role in our department's mission of providing comprehensive neurovascular care to our region and ultrasound education to our residents, students and fellows. Our upcoming plans involve performing transcranial dopplers. I would like to take this time to especially thank Christy Clary, Christy Miller, and Dr. Benesch for their time and effort to help make this happen. The neurovascular laboratory is located at 2180 South Clinton Avenue, the site of the Comprehensive Stroke Center clinic. Studies can be ordered through eRecord and by contacting Melissa Mack or Christina Holloway at 275-2530. The American Heart Association/American Stroke Association (AHA/ASA) has once again recognized UR Medicine and its Strong Memorial Hospital for achieving its highest standards of care for stroke, heart failure, and resuscitation. Strong Memorial Hospital has received the AHA/ASA Get With The Guidelines program’s highest honor, the Stroke Gold Plus Quality Achievement Award for a fifth consecutive year. The hospital was also tapped for the Target: Stroke Honor Roll, which recognizes hospitals that have consistently and successfully reduced door-to-needle time – the window of time between a stroke victim’s arrival at the hospital, the diagnosis of an acute ischemic stroke, and the administration of the clot-busting drug tPA. “We are proud to earn this recognition, however we continue to work to improve time-to-treatment for people who are suffering a stroke. Early treatment is proven to preserve brain function and enhance recovery for each patient,” said neurologist Curtis Benesch, M.D., M.P.H., medical director of the UR Medicine Comprehensive Stroke Center. A new statement from the American Heart Association (AHA) recommends that people recovering from a severe stroke receive tailored and coordinated care that optimizes quality of life and minimizes suffering. The statement – which was published today in the journal Stroke – represents the first attempt to establish a fundamental set of recommendations that can help guide physicians, patients, and their families through the difficult decisions that arise from this condition. The majority of stroke patients require access to some form of palliative care, said Robert Holloway, M.D., M.P.H., the chair of the Department of Neurology at the University of Rochester School of Medicine and Dentistry. Accomplishing this requires that a hospital’s system of stroke care and its team of providers place the patient and their family at the center of the decision-making process and build a plan of care that is based on their values and informed by effective and constant communication. Palliative care that minimizes suffering and improves quality of life should be provided to patients who've survived a stroke, experts say. The care should be a team effort involving patients, families, stroke specialists and health care providers such as neurosurgeons, neurologists, primary care doctors, nurses and therapists, according to the new scientific statement from the American Heart Association (AHA) and American Stroke Association (ASA). The majority of stroke patients need access to some form of palliative medicine," statement lead author Dr. Robert Holloway, chairman of the neurology department at the University of Rochester Medical Center in Rochester, N.Y., said in an AHA/ASA news release. The stroke team and its members can manage many of the palliative care problems themselves. It encourages patient independence and informed choices, he explained. Strong Memorial Hospital has been recognized by The Joint Commission and the American Heart Association/American Stroke Association as a Comprehensive Stroke Center. This designation, which has only been conferred on two other hospitals in New York State, places Strong among an elite group of institutions that provide highly-specialized complex stroke care. “We are proud that the Joint Commission has recognized our dedicated team of neurologists, neurosurgeons, radiologists, emergency department physicians, nurses, therapists, and staff,” said neurologist Curtis Benesch, M.D., M.P.H., the medical director of the URMC Stroke and Cerebrovascular Center. This certification is a testament to their commitment to provide the highest and most comprehensive level of stroke care to our community. The American Heart Association/American Stroke Association (AHA/ASA) has once again recognized the University of Rochester Medical Center’s (URMC) Strong Memorial Hospital as having met its highest standards of care for stroke, heart failure, and resuscitation. This is the fourth consecutive year that Strong Memorial Hospital has received the AHA/ASA Get With The Guidelines program’s highest honor, the Stroke Gold Plus Quality Achievement Award. The hospital was also tapped for the Target: Stroke Honor Role, which recognizes hospitals that have consistently and successfully reduced door-to-needle time – the window of time between a stroke victim’s arrival at the hospital, the diagnosis of an acute ischemic stroke, and the administration of the clot-busting drug tPA. "This recognition is a testament to the hard work of our outstanding team of nurses, physicians, and therapists and their dedication to provide the highest quality of care to stroke victims," said URMC neurologist Curtis Benesch, M.D., Ph.D., the director of the Strong Stroke and Cerebrovascular Center. A three-time stroke survivor, whose perseverance allowed her to work, maintain her busy household and be courageous enough to take karate and surfing lessons, is among the speakers at a seminar for stroke survivors on Thursday, March 28, at the Hyatt Regency. Christina Goodermote will share her personal story and lessons learned after surviving a stroke, at 39. The Chili woman will be joined by fellow survivor Lucy Sebastian during the Stroke Treatment Alliance of Rochester's community education event from 8:30 a.m. to 1:30 p.m. Registration is required for the free event, call 585-275-8344. Space is limited. The Stroke Treatment Alliance of Rochester, or STAR, is a collaborative effort by University of Rochester Medical Center's Strong and Highland hospitals, Unity Hospital and Rochester General Hospital to improve and unify stroke care and raise awareness of the warning signs for this potentially devastating health emergency. This initiative is led by URMC neurosurgeon Babak Jahromi, M.D., Ph.D., and neurologist Curtis Benesch, M.D., M.P.H., and funded by the Greater Rochester Health Foundation. Chances are if you're a senior managing your health, you've already had a conversation with your doctor about stroke risk. While many patients know the warning signs of stroke -- slurred speech, weakness on one side of the body, coordination problems, double vision, and headaches -- health care providers often fail to educate patients about their risk for silent or mini-strokes, which can cause progressive, permanent damage and lead to dementia. A new study published in the Journal of Neuroscience, examined the effects of these so-called mini-strokes. They frequently are not diagnosed or detected by a doctor because a patient does not immediately present with stroke signs. Mini-strokes may lead to permanent neurological damage and increase risk for full blown stroke. Maiken Nedergaard, MD, lead author of the study and professor of neurosurgery at the University of Rochester Medical Center, says at least half of individuals over the age of 60 will experience one mini-stroke in their lifetime. She calls the prevalence of mini-strokes "an epidemic." Adam Kelly, M.D., has been named Highland Hospital's Chief of Neurology. Dr. Kelly has been involved in neurological care at the hospital since April 2010, serving as the Director of Highland's Stroke Center. Under Dr. Kelly's guidance, Highland has experienced sustained improvement in all New York state performance measures for stroke care. The hospital earned the American Heart Association's Gold-Plus Award twice in two years as well. Dr. Kelly has also led Highland's involvement in the Stroke Treatment Alliance of Rochester (STAR) collaborative to improve stroke care at hospitals throughout the community. 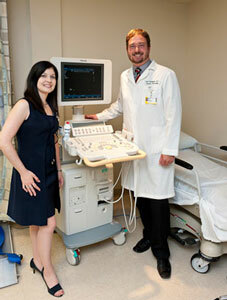 "Neurology is a challenging field, but I embrace that challenge, and I love patient care," Dr. Kelly said. "I look forward to building on the programs and initiatives my predecessors have put into place." In a review article appearing today in the journal Science, University of Rochester Medical Center scientists Steve Goldman, M.D., Ph.D., Maiken Nedergaard, Ph.D., and Martha Windrem, Ph.D., contend that researchers are now on the threshold of human application of stem cell therapies for a class of neurological diseases known as myelin disorders – a long list of diseases that include conditions such as multiple sclerosis, white matter stroke, cerebral palsy, certain dementias, and rare but fatal childhood disorders called pediatric leukodystrophies. Stem cell biology has progressed in many ways over the last decade, and many potential opportunities for clinical translation have arisen, said Goldman. In particular, for diseases of the central nervous system, which have proven difficult to treat because of the brain's great cellular complexity, we postulated that the simplest cell types might provide us the best opportunities for cell therapy. Highland Hospital invites local Emergency Medical Service (EMS) crews and Emergency Medical Technicians (EMTs) to its upcoming seminar, "Assessments and Acute Interventions for Stroke Patients," starting at 5:30 p.m. Wednesday, Nov. 7 in the Collins Auditorium at Highland. The event is free, but registration is required at (585) 341-6709. Adam G. Kelly, M.D., Interim Chief of Neurology, will present on the common signs and symptoms of stroke and how Emergency Department and EMS personnel can partner to provide prompt evaluation of and treatment to stroke patients. Dr. Kelly also will discuss interventions physicians consider once the patient arrives, including the administration of IV tPA, a clot-dissolving medicine that can restore blood flow to parts of the brain affected by stroke. This can prevent parts of the brain from becoming permanently damaged. Two neurologists at the University of Rochester Medical Center are part of an international team of scientists who call for greater rigor in the way that early-stage biomedical research is done and reported. The group, led by scientists at the National Institute of Neurological Disorders and Stroke, part of the National Institutes of Health, makes its recommendations in a paper published in Nature. Among the authors are Robert A. Gross, M.D., Ph.D., and Richard T. Moxley, M.D. Gross took part through his position as editor in chief of Neurology, the world's leading clinical neurology journal, while Moxley was asked to join the group because of his extensive experience working with patients and doing research on common neurological disorders. The Nature publication is the result of a workshop organized by NINDS in June to discuss issues around preclinical research – research on which subsequent studies in people are based. Scientists, patients, and pharmaceutical companies use this early information to make crucial decisions about what compounds to pursue to try to develop better treatments for conditions like stroke, Alzheimer's, and Parkinson's disease, and which compounds or efforts to wind down because they lack promise. The study, which appears today in the journal Neurology, focuses on a quality measure proposed by the federal Centers for Medicaid and Medicare Services called the 30-day risk adjusted stroke mortality. While the measure is being developed as a part of federal health care reform, it is already commonly employed as an indicator of a hospital’s quality of care on websites that evaluate hospital performance. The mantra in stroke care is “time is brain.” With each passing minute more brain cells are irretrievably lost and, because of this, timely diagnosis and treatment is essential to increase the chances for recovery. While significant strides have been made to improve the response time of caregivers, a new study shows that a critical step in the process – imaging of the brain to determine the nature of the stroke – is still occurring too slowly at too many hospitals. 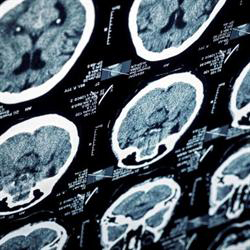 "We were struck by the fact that less than half of patients with acute stroke symptoms did not receive a brain scan within recommended guidelines,” said University of Rochester Medical Center neurologist Adam Kelly, M.D., lead author of the study. “This was the performance of hospitals who are actively participating in a national quality improvement program, so rates in non-participating hospitals may be even worse." Ernest J. Del Monte, 87, real estate and hotel developer, philanthropist and University of Rochester Life Trustee, died Saturday, April 21, 2012. His generosity to the University of Rochester leaves a legacy of innovation and collaboration to help eradicate brain diseases. Mr. Del Monte, of Pittsford, was a visionary in business and industry. With a $10 million gift to the University in 2009, he and his wife, Thelma, helped establish the E.J. Del Monte Neuromedicine Institute to expand the study and treatment of Alzheimer's disease, stroke, spinal cord and brain injuries, and brain cancers at the University of Rochester Medical Center. The gift was the catalyst for the establishment of the Del Monte Neuromedicine Institute, which serves as an umbrella for several vibrant research centers and growing clinical care programs throughout the Medical Center and River Campus. It has also reinvigorated the scientists and physicians who treat patients with neurological conditions. Ernie was a force of nature who touched so many of our lives at the University. I am proud to have spent time with him and his late wife, Thelma, and continue to be deeply moved by his commitment to the Del Monte Neuromedicine Institute. When I last spoke with him, he was still planning deals, always imaginative, always determined, right up to the end, said Joel Seligman, president of the University of Rochester. Ask any number of men what they think their odds of having a stroke are, and you might find many of them believe stroke is frighteningly unpredictable and can attack like a bolt from the blue – without warning, trailing death and disability in its wake. That idea is dangerously wrong. The truth is that a stroke is the bullet at the end of a very long barrel and there is a lot you can do to dodge it. The path to stroke can be started by heart disease – especially if you have an irregular heartbeat. It also can be started by arterial disease – especially if there is a build-up of plaque in the arteries of the neck. The chain of events that begins with cardiovascular disease and ends in stroke can take years, or even decades to evolve. You probably will not know that it is happening. Hospitals with designated stroke centers are associated with up to 20 percent higher survival rate for patients with ischemic stroke and significantly greater use of acute stroke therapy. That is the conclusion of a study appearing today in the Journal of the American Medical Association which compares treatment and outcomes in stroke care between hospitals in New York State. “The basic premise of stroke centers and stroke care – that coordinated care delivered around a specific disease can likely improve outcomes – is widely accepted,” said University of Rochester Medical Center neurologist Robert Holloway, M.D., M.P.H., a co-author of the study. However, there has been limited empirical evidence demonstrating that admission to a stroke center is associated with lower mortality. This study shows that designated stroke centers not only have a greater adherence to evidence based practices but they also save lives. Cognitive scientist Daphne Bavelier, Ph.D., will discuss her work using video games to explore the remarkable capacity of the brain to adapt as part of a lecture series highlighting biological and biomedical research at the University of Rochester. Bavelier will discuss her research this Friday, Jan. 14, in the Class of '62 Auditorium (Room G-9425) at the Medical Center. The talk, part of the “Second Friday Science Social” lecture series, is geared mainly to faculty, staff and students at the University, though the general public is welcome as well. Bavelier, professor of Brain and Cognitive Sciences, is an expert on the brain's ability to learn and adapt to an ever-changing environment. For the past decade, she has employed video games as a way to explore the brain's ability to adapt – a capability crucial for people trying to recover from a stroke or a traumatic brain injury or for people seeking to keep their mind as sharp as possible as they age.